In 2007, the FDA began labeling antidepressants with a warning that patients aged 18-24 were at risk for increased suicidality during the first weeks of treatment. 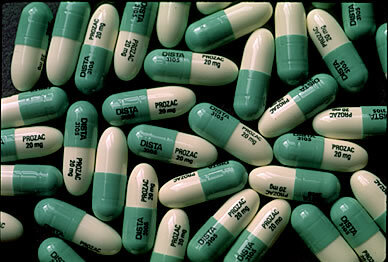 New evidence shows antidepressants actually have beneficial effects on suicide risk in adults. A study of all published and unpublished data on the SSRI fluoxetine (Prozac) and the SNRI venlafaxine (Effexor) published in 2012 by Gibbons et al. in the Archives of General Psychiatry showed that these antidepressants substantially reduced suicidal thoughts and behavior in adults and produced no increase in suicidal thoughts or behavior in children and adolescents. The protective effect on suicidality in adults was mediated by mood, i.e. the patients’ mood improved and they became less suicidal. Children’s mood also improved on the antidepressants, but their risk of suicidal ideation did not change. Editor’s Note: These are important findings. When the FDA box warning on antidepressants and suicidal ideation appeared, antidepressant treatment of youth decreased without an accompanying increase in psychotherapy, and the actual suicide rate in youth increased. We now know that childhood-onset depression carries a bigger risk for a poor outcome in adulthood than adult-onset illness. In parallel, greater numbers of depressions are associated with more impairment, disability, cognitive dysfunction, medical comorbidities, treatment resistances, and neurobiological abnormalities. It is important to treat illness in young people in order to prevent these difficulties, and the suicide warning should not deter the use of antidepressants. Patients should be careful about suicidal ideation in the first several months after starting an antidepressant, as other data suggest that this is a time of slightly increased risk of suicidal thoughts in children and adolescents.